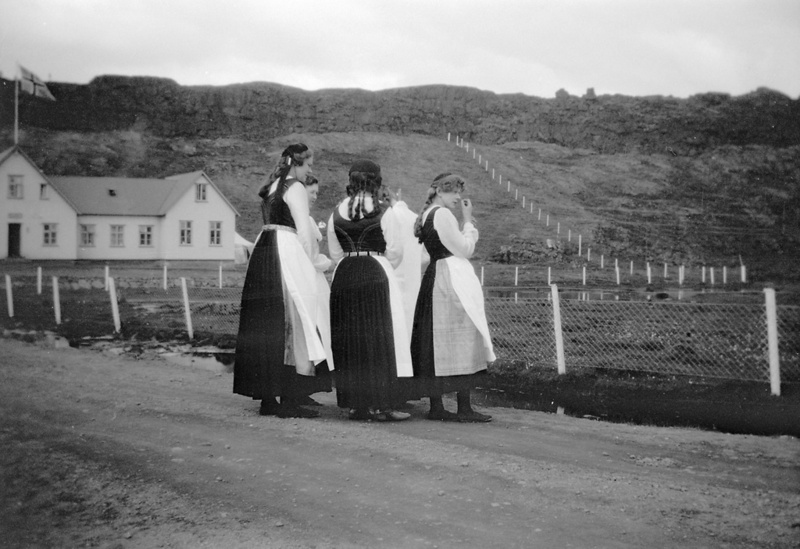 Iceland loves to celebrate its cultural traditions, old and new. So even on a short city break, we can help you to experience the authentic heart of Iceland. Throughout the year there are events and festivals celebrating different aspects of Icelandic culture and history – from its Viking past up to the ever growing Gay Pride festival. If you're visiting in August, then Culture Night is one of the biggest nights in Reykjavík's cultural calendar. Shops and cafes stay open late, as exhibitions, events and happenings take place all over the city. The National Museum of Iceland is a great place to start if you want to explore the history and heritage of Iceland, with exhibits, photography and around 2,000 objects. You can get a real feel of what life was like in the old days at Arbaer Museum. The outdoor museum captures the past with a conserved village, town square and farm, populated by traditionally dressed staff. The world-famous Sagas tell of the events of Iceland's origins. You can visit the medieval manuscripts that contain these incredible stories, poems and narratives. Visit the historical sites around the country where the Sagas are actually set. There's even a Viking Festival! Icelandic food culture has developed a lot over the years. The midwinter festival of Þorrablót is a chance to try a taste of the past, from rotten shark to sheep´s head, and hung meat to liver sausage. For a taste of contemporary Icelandic cuisine, the Food and Fun festival in February is a foodie's dream. Throughout the summer you'll find events that celebrate Icelandic culture, including Merchant's Day, Fisherman's Day and Icelandic National day. All around the country, Icelanders gather to celebrate – and everyone's welcome! The Christmas and New Year season is strongly celebrated in Iceland. A series of meals, gatherings and cosy traditions make for a magical winter visit. The fireworks on New Year's Eve will be like nothing you've ever seen! Let us help plan your next cultural break in Iceland, tailored specifically to you. We can pack as much into just a few days to give you a taste of the true Iceland.